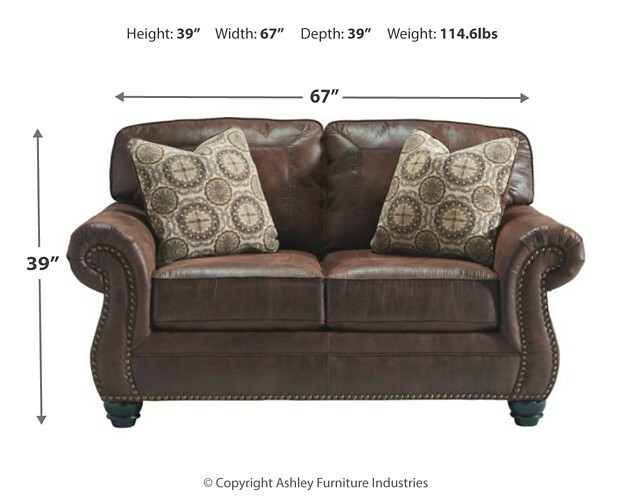 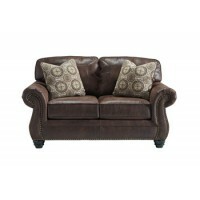 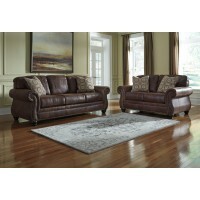 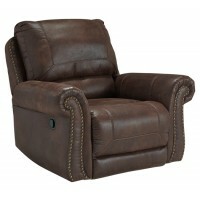 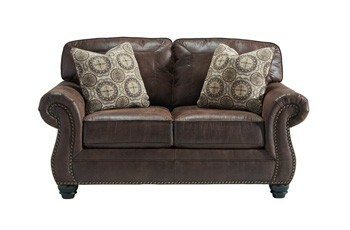 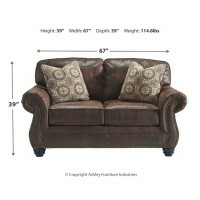 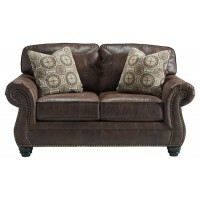 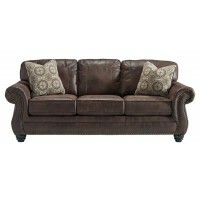 Revel in the ruggedly handsome look of leather—at a fraction of the cost—with this stylish loveseat. 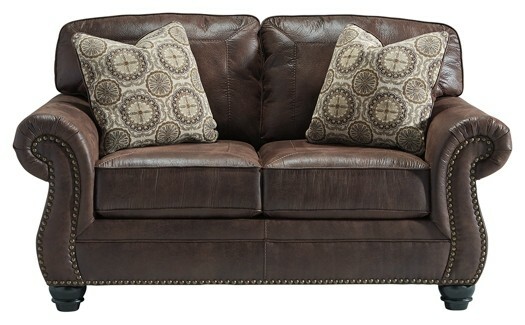 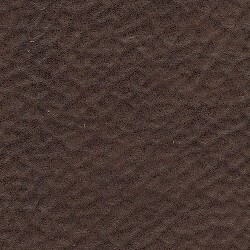 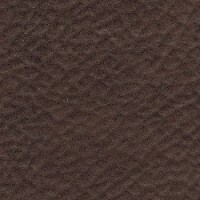 Inspired by the rough and tumble beauty of the Southwest, it sports a “weathered” faux leather crafted for warmth, comfort and everyday living. 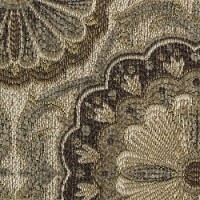 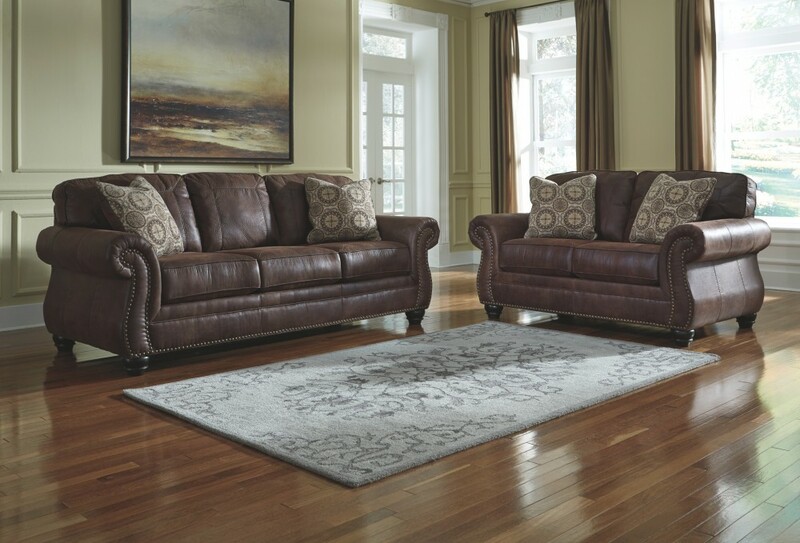 Touch of nailhead trim adds perfect punch of character.